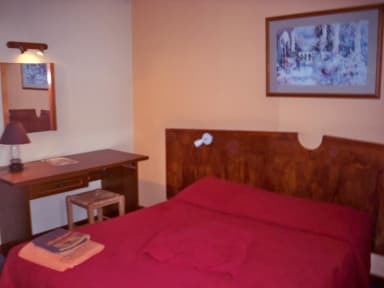 Ad Cyber Hotel i Toulouse, Frankrig: Reservér nu! 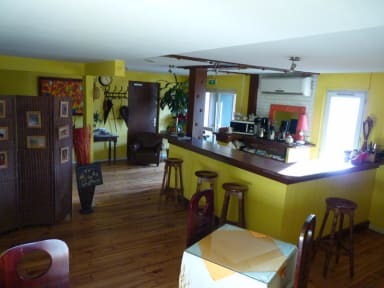 In a big wooden building completely renewed, you will find guestrooms with lovely and personalized decoration, with air-conditioned, free internet access, desk, flat-screen television as well as a privative bathroom. A continental breakfast is daily served on the terrace or in the breakfast room, according to the season. Furthermore, you will benefit a free access to the swimming pool as well as sports facilities of a private club near the hotel, such as badminton courts or beach volleyball, around a friendly clubhouse. You will also find a minigolf course (with supplement). You can also take advantage of the pedestrian route, perfectly secured, around the lake of the Union for your walks or jogging. The Ad Cyber Hotel is ideally located and particularly well served by road : You will find, at less than 3 minutes' walk, restaurants and famous festive places and you can reached, in less than 10 mn, the City Center of Toulouse, the train station or the airport of Blagnac. A free private car park is also available at the hotel. Cancellation policy : Free cancellation up to 2 days before arrival. In case of late cancellation or no show, the total amount of the reservation is due.